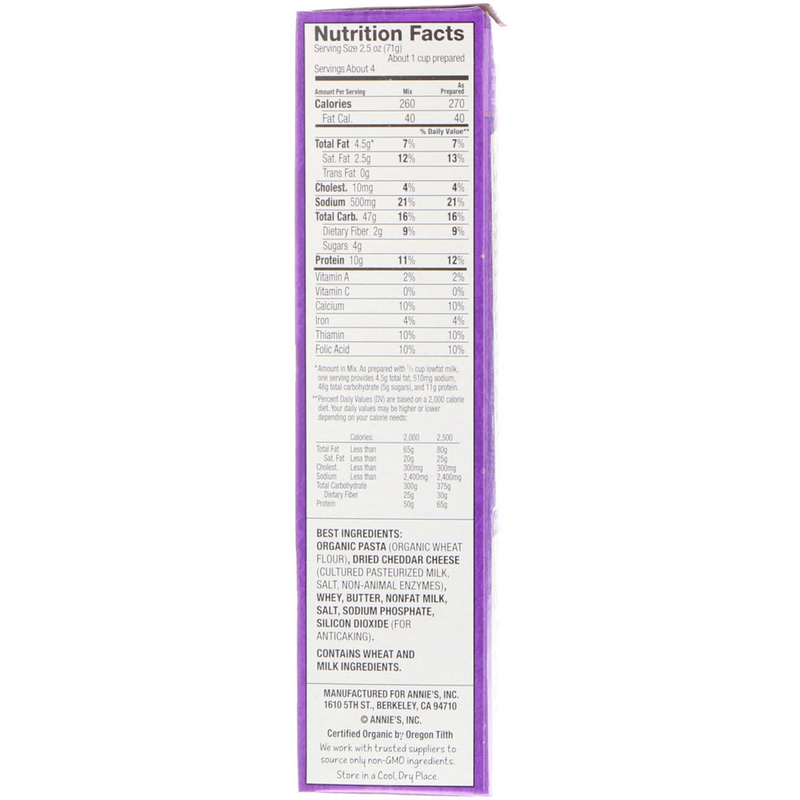 We work with trusted suppliers to source only non-GMO ingredients. To make your mac & cheese wonderfully wholesome & delicious! Bernie was Annie's pet Dutch rabbit. When she started the company, Annie chose him to be our official "rabbit of approval" representing the simplicity, care and goodness in all of our products. My husband Rob and I were the Annie's Consumer Relations and Mail Order team for several years and were accustomed to the phone ringing day and night. If the phone rang at 2:00 AM, it might have been a friend or family member, but more likely it was someone calling to order mac & cheese. Annie's original warehouse was an old grain mill without climate control. Rob and I hand-addressed every mail-ordered case, and during the winter months I often used a hair dryer to keep my fingers nimble. We packed our two-door Volkswagen with up to 50 cases, keeping our tiny post office busy. 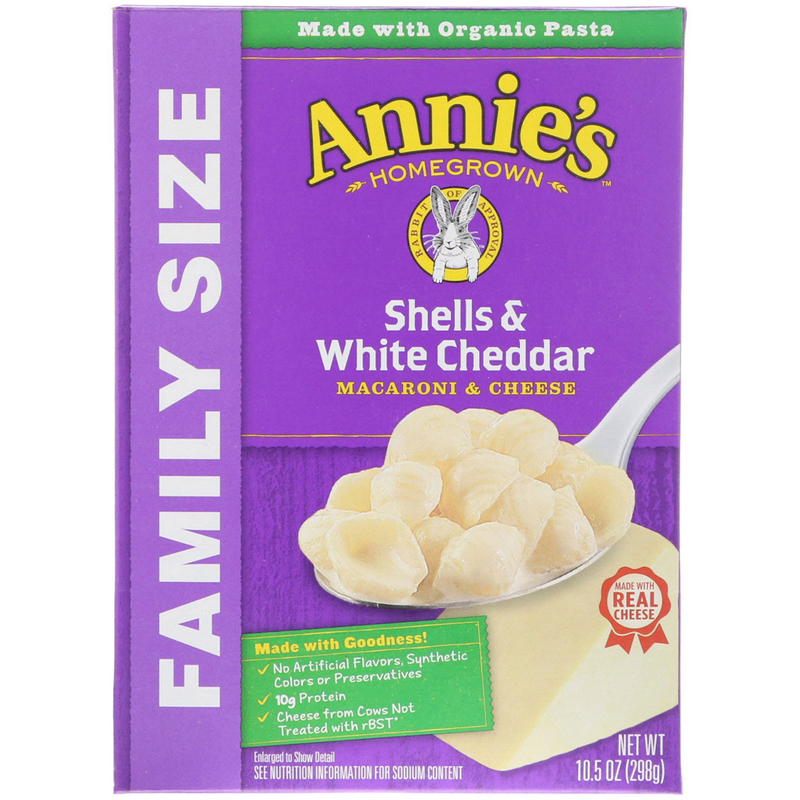 My connection to our consumers deepened with every case sent during those years: a connection I believe, is the foundation of Annie's. *No significant difference has been shown between milk derived from rBST-treated and non rBST-treated cows. Boil: 8 cups water in a medium saucepan. Add: cooked pasta back to saucepan and stir well. Annie Suggestions: For a richer flavor, add 3 Tbsp unsalted butter. For a creamy, tangy version, replace with milk with 2/3 cup lowfat yogurt. Organic pasta (organic wheat flour), dried cheddar cheese (cultured pasteurized milk, salt, non-animal enzymes), whey, butter, nonfat milk, salt, sodium phosphate, silicon dioxide (for anticaking). *Amount in Mix. As prepared with 1/3 cup lowfat milk, one serving provides 4.5 total fat, 510 mg sodium, 48 g total carbohydrate (5 g sugars) and 11 g protein.